Nicholas’ triple-double inspires second win on weekend for Raiders. 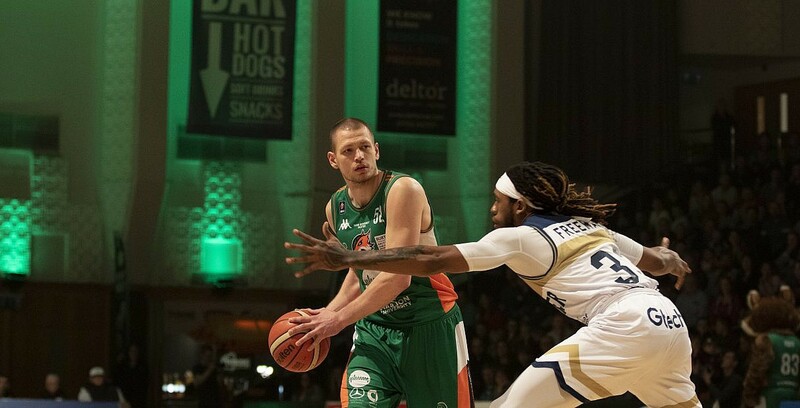 Plymouth Raiders made it two wins in as many nights to strengthen their place in the top eight with victory over Worcester Wolves. Paul James’ side level their record at 15-15 to move two wins clear of the outside contenders for the benecos BBL Play-Offs. 🔦 | Game-winner yesterday. Triple-double today. Turning point – The Raiders used a 12-2 start to second to begin to pull away as they went up by 13 at the half before piling on 30 points in the third to take further control. Key stat – Plymouth hit 10 threes in the contest, while the Wolves struggled at 6 of 31 at just 19% success rate. Game hero(es) – Hassan and Wilcher led the scoring with a combined 45 points, while Donte Nicholas produced a second triple-double of the season with 14 points, 13 rebounds and 10 assists in the victory with all five starters hitting double figures.